Tanya Chua is one of Singapore's most accomplished musician who has won many music awards locally and regionally. She is also a prolific song writer and is able to sing in both English and Mandarin. This blog was started as a simple past-time and with a humble intention to share my experience of playing Candy Crush Saga with anyone who stumbled upon this site. Little did I realise that there would be so many fellow Candy Crushers out there looking for hints to help them improve their game as well. When I first wrote the post, I was thinking that I would probably be the only one reading the post and refreshing myself on the tips and strategy when I am stuck on one of the levels. I certainly did not expect my humble blog to reach a million views within 3 months of my first post on Candy Crush. Whether you are aged 6 or in your 90s, if you are reading this page, we are all united in our love for Candy Crush the game. Thank you once again for dropping by. Here I have selected some of the most useful tips contributed by other readers who are kind enough to share them in the comments page. If you have a good tip not featured anywhere here, please feel free to post it in the comment section, I read every single comment I received and I will add them in if they are useful. Selected tips contributed by readers. Credit and thanks to the respective contributors! 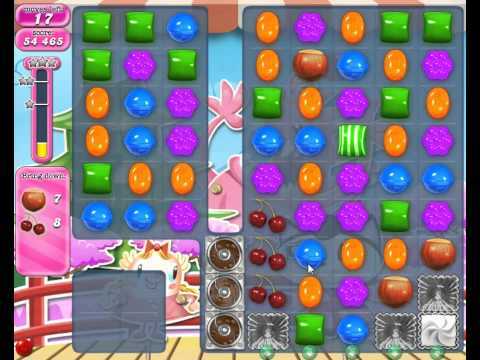 What is the pink ribbon and +3 Extra Moves in Candy Crush? This is not to be confused with the +5 Moves booster which you need to purchase and which you can choose to purchase at any time during a game. This post is talking about the +3 Extra Moves Boosters in Candy Crush Saga which you can send to your friends for free. An extra move booster gives you additional 3 moves to the game. Each booster can only be used for one game. A disadvantage of this booster is that you have to choose whether to use it before the game, rather than during the game when you know that you just need a few more moves and you could clear the level. Hence the usefulness of this extra moves booster is kinda limited. Sometimes when you chose to use it, the game board is so unfavourable that you will never clear that level even if it is a 10 extra moves booster! That said, an Extra Moves booster does not cost you money as it is sent to you from your friends, like extra lives. When you receive an Extra Moves booster from your friend, a pink ribbon bow will show up on the level to show you that you have available Extra Moves booster to use. There is no way for you to ask for extra moves from your friends. However, when you are stuck for a couple of days on a particular level, the game will prompt YOUR friends to send you extra moves. If you notice when you start Candy Crush, there will be a window asking you whether you wish to send Extra Moves booster to your friends - for eg. so and so is stuck on Level 132 for 15 days. Check it with a tick and an Extra Moves booster will be sent to your friend. So do not expect to receive Extra Moves for every level from your friends, especially if you are "not stuck for long enough", so to speak. Extra moves given by your friends are specifically meant for that level only. If you received extra moves from your friends for a level, you would see a pink ribbon before you start the game as one of the options of boosters for you to choose. You may select it and your next game for the same level will have 3 extra moves. Take note : you must select it before you start the game, you cannot select it in mid-game. The Extra Moves given to you for a particular level can only be used for that same level. This is one of the killer levels of Candy Crush Saga. From the onset, you should be clearing the icing cupcakes as soon as you can, so that you can reach the time bombs and clear them before they explode and end your game. It is handy to have wrapped candies ready, so along the way, if you spot any opportunity to create a wrapped candy, just do so and leave it on the board if you have no stripped candy next to them. This is because it is quite easy to get stripped candies in this level but wrapped candies are harder to come by, so get them ready in case so that when a stripped candy lands next to the wrapped candy, match them to fulfill your orders. I find that fulfilling the stripped and wrapped candy combo is the more difficult to fill order for this level. While collecting the blue candies may seem like a tall order, it can be done, especially if you have a rainbow sprinkle or two that you can use it to swap with a blue candy. Do not defer the chance if you have a stripped and wrapped candy next to each other. Just swap them as soon as you can, otherwise the tornadoes will come and spoil your grand plans! Do not leave it to chance because the tornadoes can and they will come to mess it up! Just swap them and worry about the rest later. Do not forget about time bombs as well as they have a relatively short fuse. Leave it too late and your game will be ended prematurely. To clear the jellies on the right hand columns. This level may need a few tries but if you follow the tips and strategy here, should be able to clear it soon enough. Firstly, prioritize your game. The first thing you need to do is to clear the locked candies as soon as you can because once that happens, it opens the flood gates for the candies on the left to cascade down and you have more options on the right hand columns. Then, you should try to clear the chocolate blocks before they engulf the entire right hand columns. Should that happen, you probably have to try the level again as it is almost impossible to do it. Do note that once all chocolate candies are cleared, they will not reappear, so getting them all out early would make your life easier. Since all the jellies are all on the right hand columns, you should make all available moves on the right hand columns until you run out of moves, then you look at the left hand columns. Remember, the goal is to clear the jellies and you dont have the luxury of moves to do anything else. On the left hand columns, creating horizontal stripped candies should be your goal as these can help to clear some tiles on the right hand side once they are triggered. Vertical stripped candies are only useful when triggered on the right hand columns. If you are lucky to get a wrapped candy, resist the temptation to trigger it, wait for it cascade to the right hand side where it is more useful when triggered. That is unless you have a perfectly placed stripped and wrapped candy next to each other on the left hand block, if triggering the combo can help you to clear 3 horizontal lines of jellies on the right hand block, by all means, use it! That said, a wrapped/stripped candy combo would do more damage if triggered on the right hand columns, so think wisely before you jump. For more general tips for this game, refer to this post. Level 376 requires you to bring ingredients down but there is a huge chunk of chocolates and cupcakes blocking the exit. There is a candy pizza that helps you to a limited extend. Clear the pizza early, make room for candies to cascade to the block of columns on the right. Destroying the pizza early in the game can help to cascade the candies to the block on the right as it clears away the chocolate tiles and help blast off the first layer off the cupcakes. Getting candies to the block on the right will then allow you to destroy the cupcakes. So the earlier you make room for candies to cascade to the right, the more options you have in your moves and you can start destroying the cupcakes earlier. To trigger the pizza, you can only use vertical stripped candies and/or wrapped and stripped candy combo. It can be easier than you think because it is rather easy to create wrapped and stripped candies for this level. 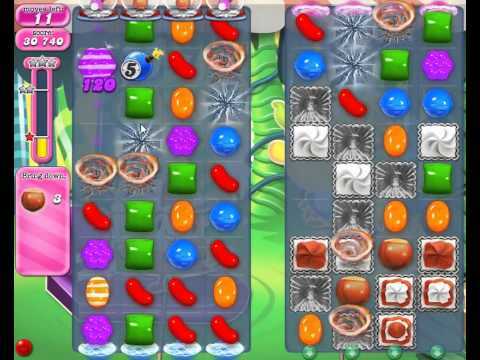 The consolation is that this level offers plenty of opportunities to create wrapped / stripped candies and even rainbow candies because of the limited number of colours used in this level. Likelihood of ending this level with not enough moves to bring down all the ingredients is very high. Do not waste your moves making unnecessary moves that would not aid your game strategy for this level. It is inevitable that the ingredients will land on the top row of the square icing cupcakes, making it difficult to remove the cupcakes that are blocking the way to the exit. Hence you can only depend on vertical stripped candies or the combos mentioned above to blast your way through to the exit. There are a lot of cupcakes to clear on each column before the ingredients can drop to the exit, so you need to expend lots of moves. [Game Hints] Draw Something 2 Daily Guess Answers Revealed! Answers to Draw Something 2's Daily Guess updated daily. 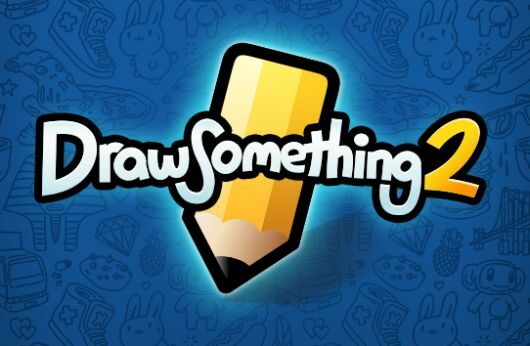 Draw Something 2 is another game which I play regularly, in fact, daily. I am always amazed by the top quality drawings by some talented artists which are featured on the gallery section. In Draw Something 2, the wider the variety of drawing tools available to you, the better you can draw. To unlock the drawing tools, you need coins which you can earn by playing with other people and stars which you can earn by playing the Daily Guess and Daily Draw games for a 5 days consecutive streak to earn a maximum of 5 stars for each. Daily Draw is really there to reward you with the coins and stars, you just need to draw anything and click on submit, they will give you the reward anyway. Daily Guess, on the other hand, is more tricky. If you happen to stumble on one day's Daily Guess, you would have to start your streak all over again and the payout for the initial streak is just a few measly coins. To help fellow Draw Something 2 fans, I will post the answer here so that you can continue your streak. So if you ever get stuck on Daily Guess, just drop by here for the daily updated (I will try!) answers to Draw Something 2's Daily Guess. Bringing a set of walkie talkies on your travels can be very useful and cost-saving if you travel in a group with friends or family members. Sometimes you just want to save time and split up the group so that you can do/see/shop more when you are for eg. at a theme park, shopping mall, place of interest. Or when the chances of losing each other is high in a crowded place. Rather than relying on calling each other on mobile to report location or co-ordinate the meeting up time and place, using walkie talkie is an effective and cost saving solution. Don't forget, unless both parties are using the foreign country's prepaid SIM cards, both calling and receiving parties would have to pay for IDD charges for each call made. Overseas call can be costly and this is how telcos make huge bucks from you. A walkie talkie provides a clear real time communication channel and in case you are not aware, there is a call button that if pressed, the other walkie talkies in the same network channel will beep and your family member or friend would be able to know that you are calling for them. You can also add on more walkie talkies to the network by utilizing the same channel, just set or coordinate it within the group before each heading their own way. If there is too much interference from other walkie talkies nearby, for eg. security guards, just change the channel - however, everyone in your group holding a walkie talkie must switch to the same new channel, otherwise, that person will be lost in his own world. So, why waste the money on costly IDD calls, especially when you are within a small area that is easily covered by walkie talkie range? Use the mobile only as a last resort when the walkie talkie does not work. Walkie Talkies can last for very long if you take good care of them! I have been using my set of walkie talkies for almost ten years without any problems and it probably saved me mega bucks from IDD call charges so far. Level 97 looks deceptively easy, however, it is difficult to reach the targeted score to get at least a star and pass the level. The focus for this level is to rake up high scoring moves, that means, you try to form all the massive combos you can with stripped, wrapped, rainbow, whatever you can lay your hands on. The time bombs are aplenty in this level and they detonate very quickly too, so you need to attend to them rather early to avoid ending the game prematurely. The good news is that this level offers plenty of opportunities to create wrapped and stripped candies. Secondly, time bombs gives you 6,000 points when you destroy them. Making a combo move that destroys a few time bombs together can score some major points. 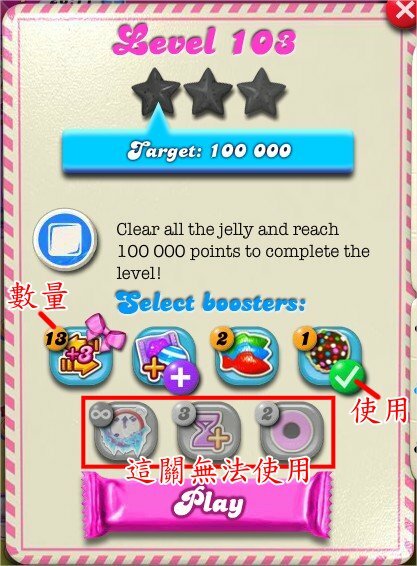 Rather than waste your last few moves on matching the stripped candies or wrapped candies, concentrate on making more special candies if possible. This is because when the game ends, the finale will help you to auto activate these remaining special candies on board, saving you some moves! Some players say that playing this on Desktop is easier than iOS, so if you have access to Desktop version, try it. If you have played beyond Level 410, you would be introduced to tornadoes. The tornadoes bring Candy Crush to new level of difficulty. You do not have any control over the tornadoes and you have no idea which tiles it will hit next as it is totally random. Therefore, it is almost impossible to line up for any special candy moves as it could just be destroyed in the next move. To add insult to injury, the tornadoes not only destroy tiles by random, it also leaves the destroyed tile in destruction for one more move. Therefore, you are unable to use that particular damaged tile for one more move. You cannot do anything to prevent the tornadoes from happening and it does not go away unlike real life tornadoes. After the tornado is done with its destruction, the tile remains unusable for one more move. Immediately thereafter, the next move, the damaged tile will heal by itself. The important thing to note is here, the tile that was above the damaged tile will cascade down to the healed tile. So if you are planning your next move, take note of the tiles that are going to be healed the next move and you get an idea of how to plan for your next move. After all, the tornado does not come back to damage a tile that has just healed. Our reader, Mike, has shared an invaluable tip to deal with tornadoes. That is, with a mega explosion using two wrapped candies, the tornadoes in the line of explosion will be disabled for about 5 moves. While the tornadoes will reappear after 5 moves, many things can be done during their absence! Reader Cory also shared that with the donut, the striped candies and the stripped/wrapped candies combo, you can also get rid of tornadoes. As long as the tornado is in the path of the combo it will be "blown" away. If you know of other ways to deal with the tornadoes, do share in the comment box below! In particular for Level 417 of Candy Crush Saga, you also need to note that the tornadoes have the tendency to destroy the tile with the pink candy donut once the jelly is removed. So if you are not ready to use your donut yet, do not strip away the jelly. But once you have stripped away the jelly, be prepared to use the donut in the next move, if not the tornadoes will likely do it for you within the next 1-2 moves. For other Top 10 tips for Candy Crush, please read this post. This sounds like a good offer to me. Usual Price $19.90 for each. Now 6 pcs of this is only going for $59.00, 50% off! That's buy one get one free! Now, you have no excuse not to clear up the mess in your home. Good product on a good offer.